The World Solenoid is a Versa designed family of electrical operators created specifically to meet the requirements of world certification agencies: ATEX, IEC, INMETRO (Brazil), PESO (Indian), KC (Korean), TR CU (Russian) and North American certifications. The World Solenoid is a compact, stainless steel housed solenoid with integral junction box or 24" wire leads. The World Solenoid is offered with either �" NPT or M20 electrical connections. All World Solenoids rotate 360 degrees to simplify installation and serviceability. 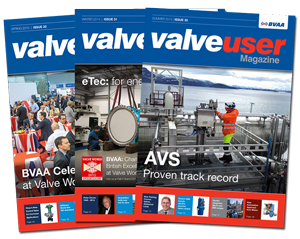 Standard valve is offered with a threaded vent port. Additional vent options are available to keep contaminants out of the valve or for hydraulic applications. These high performance solenoid operators are standard with a low power rating of 1.8 watt � options also available of 0.85 and 0.5 watt with the same long life cycle ratings. Corrosion resistance is provided through stainless steel housing and Class H epoxy molded coil rated for continuous duty, offering the greatest flexibility in any application. The epoxy molded coil and sealed housing yields a moisture resistant design which also dissipates heat for elevated temperature applications. This optimized design allows for standard ingress protection that exceeds NEMA 4X and IP68 rating. All industry common voltages are available. The World Solenoid is available on Versa�s direct acting E4 Series or any of their high flow, bubble tight, solenoid pilot spool valves, such as the C-316 and V-316 Series stainless steel or V Series brass. 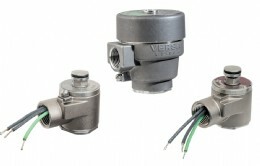 When a reliable electrical operator with worldwide certifications is required, the Versa World Solenoid is the choice.